TURN OFF SCREENS 30 MINUTES BEFORE YOU GO TO BED - This is probably the most difficult one to do because the majority of us are glued to our phones. The blue lights emitted from phones/computers make it difficult for the body to produce melatonin (a hormone that controls your sleeping routine) which makes it harder for us to fall asleep. If you have an iPhone, you can switch on 'Night Shift' which gives of a warmer light. KEEP YOUR ROOM COOL - If your room is too hot, it can make it harder for your body relax. I also get uncomfortable during the night if I am heating up which makes me wake up. You can keep your room cool by opening a window, using a fan (like this one) or lighter covers. 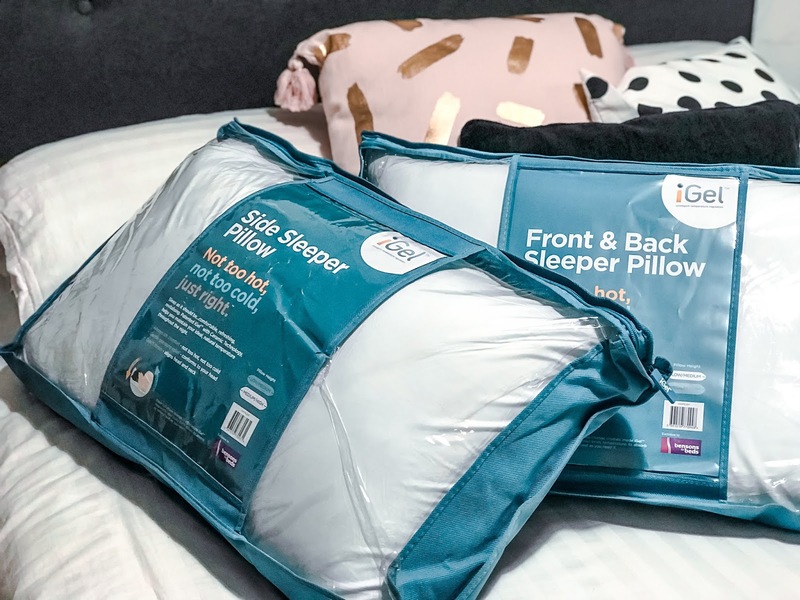 COMFORTABLE PILLOWS - Following on from my last point, I recently started using the Bensons For Beds iGel Side Sleeper Pillow which have heat regulating technology, perfect for the summer heat. The quality and firmness make them so comfortable that I can't wait to get my head down. They also have a iGel Front Sleeper Pillow if you sleep on your front or side, you're sorted! 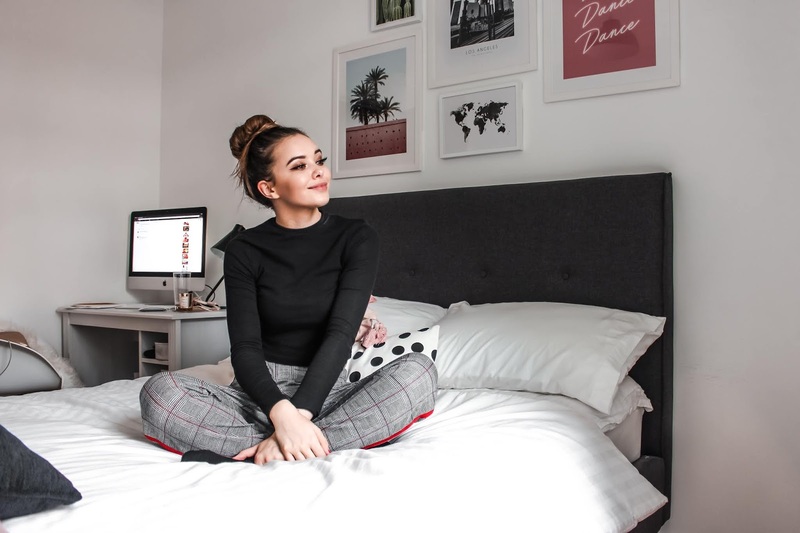 DIM THE LIGHTS - Depending on what you prefer, you should switch off your main light and keep it dark or use a bedside lamp with a warm bulb to make your room feel cosy and relaxing. My boyfriend loves it when I put my fairy lights on because it makes the room all snug and homey. STICK TO A CONSISTENT SLEEP SCHEDULE - You will usually find that your body switches on and off at the same time every day because it get's used to your sleeping routine. Try and start a sleeping schedule that is helpful. For example, I usually go to bed at 11pm and wake up at 7am so I can get my 8 hours sleep easily. Do you have any tips for sleeping easy?